General dentistry sole purpose is the prevention of disease. Approximately 65 percent of all dental procedures are either diagnostic or preventive. General dentists help prevent the progression of oral diseases by placing an emphasis on oral health and hygiene. If left untreated, they may result in pain, lost time and higher expenses. Preventive services — These services aid in the maintenance of good oral health by preventing disease before it takes hold in the mouth. Regular exams (such as x-rays) and professional teeth cleanings are the basics for prevention. Your general dentist may give you detailed instructions to improve your at-home oral hygiene, and if needed may also recommend preventive treatments such as sealants. And if you lead an active lifestyle, you may be fitted with a custom-made mouth guard. Restorative Services — One of the most common (and highly effective) dental restoration involves removing tooth decay and placing a filling in the affected tooth. Also, they offer you a place to go when you need prompt treatment for dental trauma—for example, a broken, loosened or knocked-out tooth. General dentists are able to diagnose and treat the causes of tooth pain or periodontal (gum) disease. They may also offer treatments for missing teeth, place crowns or bridgework, and help you get fitted with dentures. Others may also provide more advanced treatments, such as root canal therapy, orthodontics, and dental implants. Cosmetic Procedures — Some of the services that general dentistry includes in cosmetic procedures are teeth whitening, cosmetic bonding—even porcelain veneers. You can ask your general dentist for a smile makeover if it’s a brighter smile that you’re looking for. Overall Health Concerns — Oral health can sometimes be seen as a mirror of your general health. Some dental problems may reflect issues in other parts of your body, and vice versa. For example, untreated oral infections can lead to poorer control of diabetes, an increased incidence of cardiovascular disease, and complications during pregnancy. In general dentistry, dentists are trained to identify these and other issues, and offer appropriate treatment or referral when needed. One special concern is obstructive sleep apnea, a potentially deadly condition that can sometimes be treated with an oral appliance. General dentists may also offer nutritional counseling, advice on tobacco cessation and general health and wellness information. Ordinarily, you should see the dentist every six months for preventative services—and otherwise, whenever you have a concern about your oral health. In terms of routine dental appointments, there isn’t a specific schedule for all patients. It depends on your individual circumstances, your dentist may want to see you twice a year, every three months, or another interval. Keeping up with the recommended schedule of preventive treatment and practicing effective oral hygiene at home are the two best ways to prevent dental disease and keeping a bright and healthy smile. Dr. Jared Bowyer DDS is a dentist in Vancouver, WA. 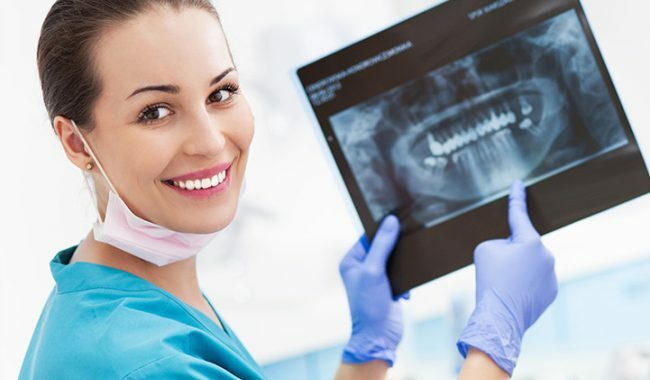 To learn more about general dentistry and the services it offers, please visit our website or give us a call at (360) 253-2640, we will be more than happy to answer your questions.